My wife and I purchased our first corvette in 1964. That 1963 F.I. Coupe marked our inception into the love affair with America's greatest sports car. Since then, we have owned six more: a 1958 F.I., a 1959, a 1971, a 1964 F.I. Coupe, a 1973 Big Block, and our current 1981. Our 1981 was the first year for production in the Bowling Green, KY plant. In almost 20 years, the car has no more than 22,000 miles on its distinguished chassis. We joined our first corvette club in Maine in 1974. Five years later, we filed for incorporation with our own club in the state of Massachusetts. I was president for 15 years, with my wife Marge as the membership director. 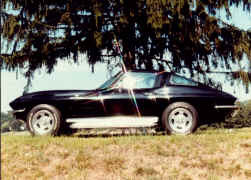 Then, in 1995, we began our current club, The Granite State Corvette & Classic Car Club. Our new goal was to begin a low key, independent owners club. 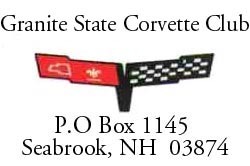 So, in January of 1995, the Granite State Corvette Club was officially incorporated. This club, as members have happily found, was formed so that owners could enjoy their cars and other members' cars at their own pace, given their busy lifestyles. We are excited at the possibilities this new web site may bring in uniting us with other clubs and future members. Through this site, we hope to facilitate the exchange of event and newsletter information around the country and around the world.